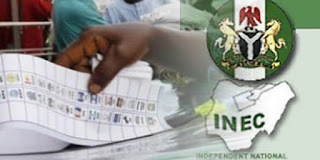 The Independent National Electoral Commission (INEC) on Monday in Benin, released a list of 19 political parties that would participate in the Sept. 10 governorship election in Edo. The list signed by INEC’s Head of Legal Services, Mr Mathew Ugwuocha also contained the names of candidates being fielded by the parties. The list contains 19 male governorship candidates, 15 male running mates and four female running mates. The governorship candidates with female running mates are Mr Thompson Osadolor, KOWA; Adviser Nowamagbe, UPP; Ishaka Ofemile, AA and Ukonga Frank, NNPP. The running mates are Nancy Ewemade, AA; Florence Okundaye, KOWA; Okosun Davis, UPP and Emodogo Eweha, NNPP. Others governorship candidates include Osagie Ize-Iyamu, PDP, with John Yakubu as running mate and Godwin Obaseki, APC, with Philip Shaibu, member of House of Representatives, as running mate.